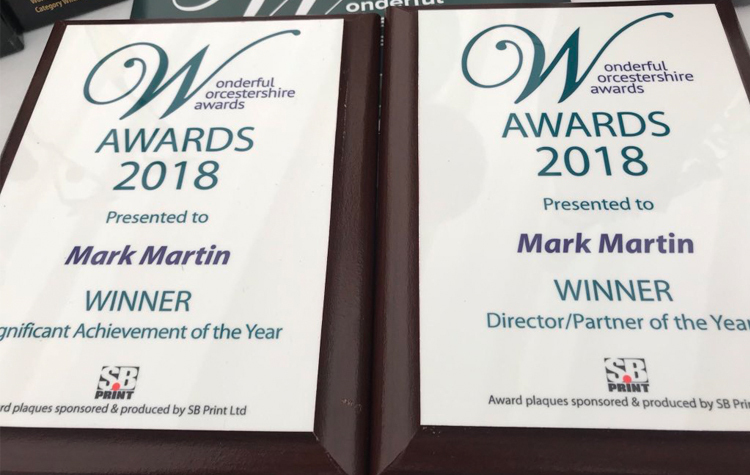 One Creative Environment Ltd’s (One’s) Director, Mark Martin, is celebrating having won two Wonderful Worcestershire Awards. 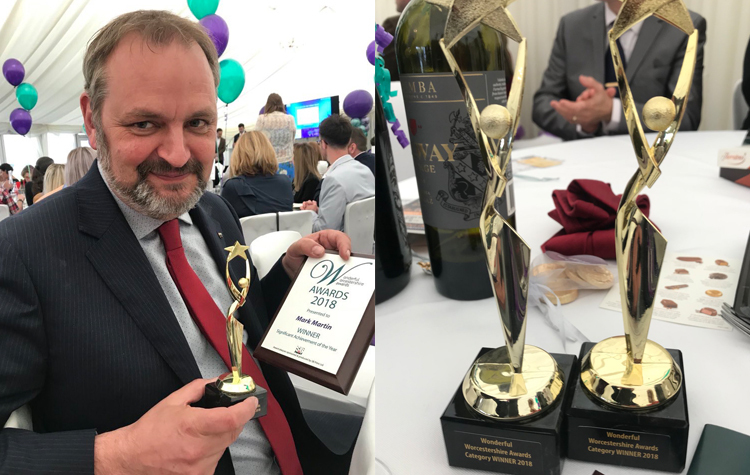 Mark was awarded both the Director/Partner/Very Senior Manager and Significant Achievement of the Year awards at the celebratory event, which was held on 27 April 2018, at the Worcestershire County Cricket Club. The awards celebrate local excellence and highlighted the work Mark does at One Creative Environments Ltd. (One) as well as a number of other activities that he is involved in that supports Worcestershire’s economy. Mark, who has more than 25 years in the design and construction industry, has been one of the owners and directors of One since 2008. The company has gone from strength to strength, with Mark overseeing sector and client diversification, resulting in significant growth which has created local jobs with a Worcestershire workforce now of more than 50 people. The company has delivered many high-profile projects both in the U.K. and overseas with Mark also being the designer behind the local Green Skywalk proposal. The company has also opened a London office in addition to their Midlands presence. He was a Parish Councillor for Tibberton for five years and was part of the team which arranged the Jubilee street party celebrations including the necessary road closure.